Cameron is located in the southern part of Steuben County on Route 119 . 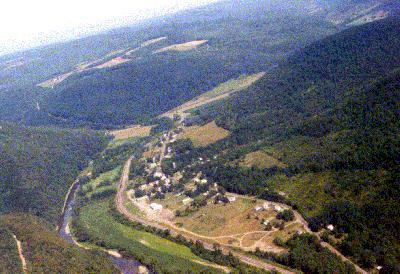 Cameron is situated in the rugged and scenic Canisteo River Valley, extending through hills famous for deer hunting. When Steuben county was formed in March 1796, and was divided into six provisional districts, the midsection of the southern half of the county was named Middletown. Within Middletown was the area that, in 1822, by an act of state legislature, a new town was formed, Cameron. The Town was named in honor of Dugald Cameron, one of Bath's early settlers. Copyright © 1996-2019 [GLSaltsman Enterprise ]. All rights reserved.